The device is portable and battery operated, thus being practical and quick to use with a measurement time of 2 seconds! Sparklike Handheld™ (formerly known as Gasglass Handheld) has become the industry standard for non-invasive measurement - and used by IG manufacturers, window and door manufacturers, testing laboratories, building quality inspectors and construction consultants worldwide. 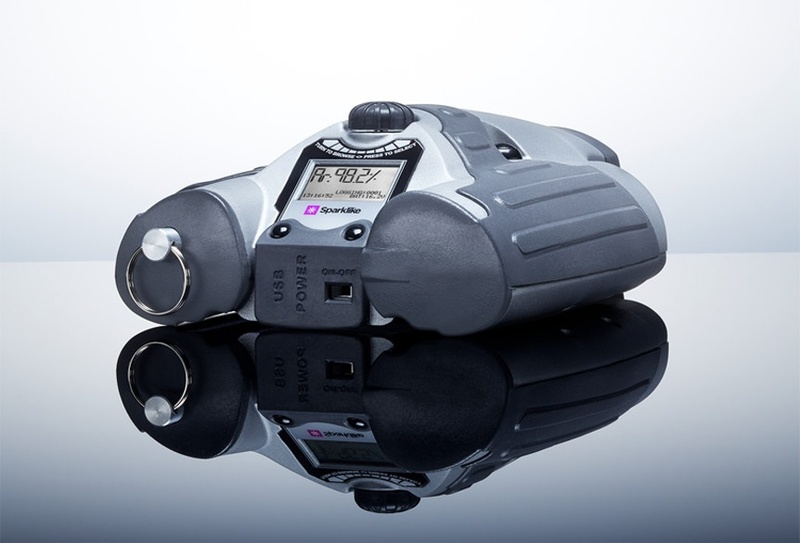 Sparklike Handheld™ is practical and quick method to test IG gas concentration. Technology is based on plasma emission spectroscopy. A high voltage spark is launched in the IG unit's cavity causing a light emission which is observed and analyzed further. 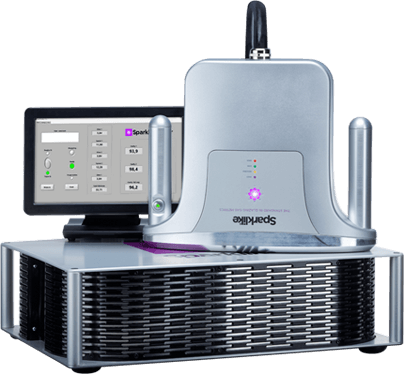 Thanks to its small size, it is easy to get a fast reading of gas concentration, whether it's argon or krypton. The user can simply place the device against the unit, press the button and receive an instant result with high accuracy. Want to analyze gas concentration of triple glazed insulating glass units with coatings and lamination instead?